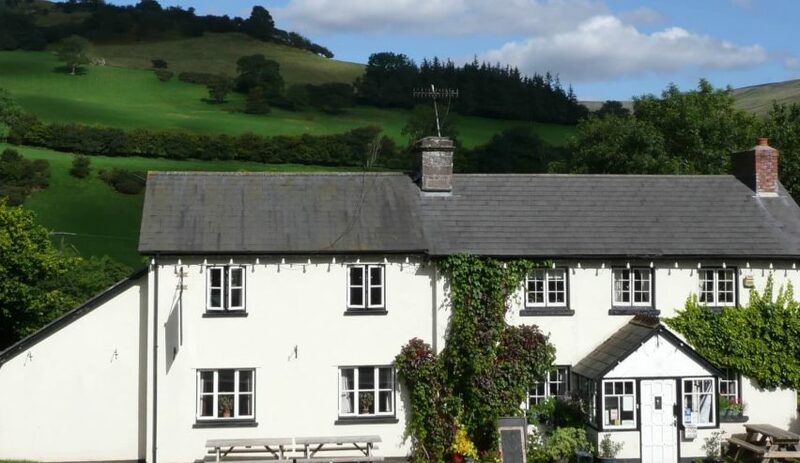 The Dragons Back (formerly The Castle Inn) is a pub with B&B rooms, camping & 3 self contained bunkrooms, located at over 1000ft above sea level in the stunning Brecon Beacons National Park. The bunkrooms are fully carpeted and centrally heated with en suite wet rooms. Book out the entire bunkhouse from just £375 per night. 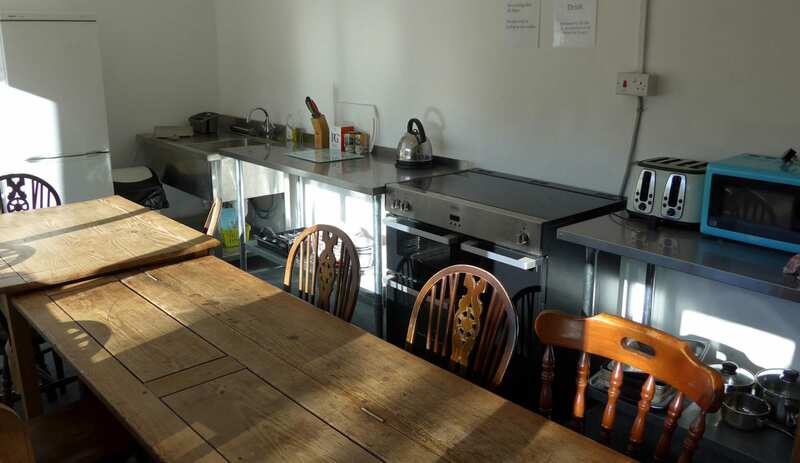 A new fully fitted dining/kitchen complete with WiFi and large screen TV, is now located next to the bunkhouse so self-catering is an option, although meals are also available in the pub next door. The pub serves a range of local real ales and home cooked meals using locally sourced ingredients. There's a large log fire, fantastic beer garden, free WiFi in the bar, pool table & 50 inch TV. The bunkhouse's drying room and secure bike storage make it a great base for outdoor activities. Groups welcome including stag/hen parties. 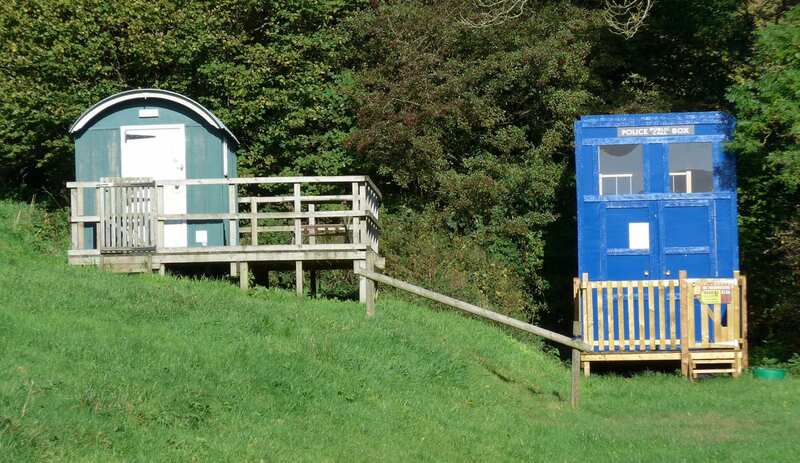 Glamping is available in our Shepherds Hut and the Tardis. 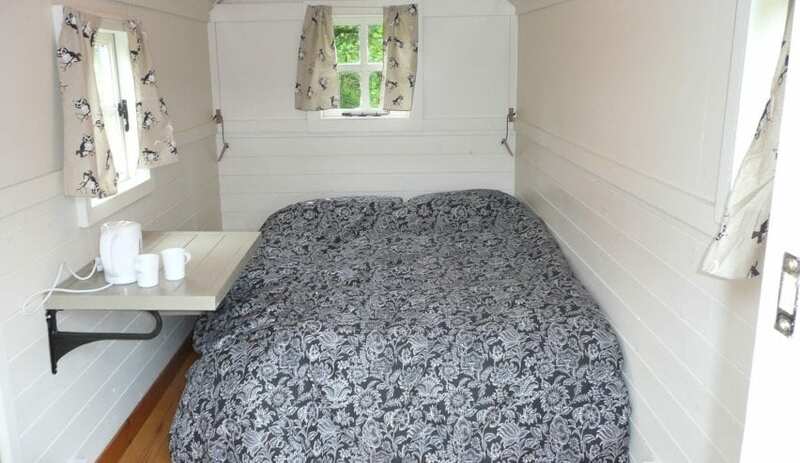 The tardis sleeps up to 2, at £60 per night, the shepherds hut sleeps up to 2 at £60 per night. There is a minimum two night stay for all our accommodation. Dogs £5 per night in the bunkhouse This accommodation is featured on our map of South Wales and Pembrokeshire and here is its own website. All year. Arrive after 2pm, depart before 11 am. £16pp, £23pp with b/fast. Min of 5 people required for 6 bunk room, 7 for 10 b/room, or 9 for 12 b/room. Sole use £375, or £550 with breakfast. Group bookings only. £100 non refundable booking deposit required. 28 days notice required for cancellation, otherwise full value of the booking ( less deposit ) will be charged. Nearest trains: Abergavenny. 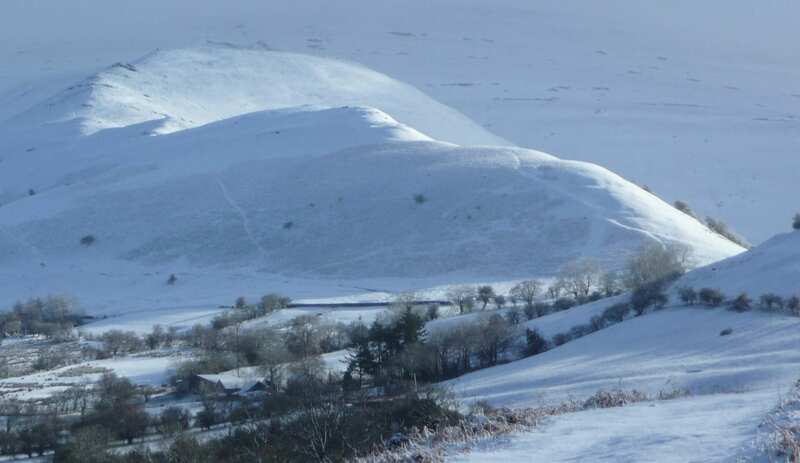 Nearest bus: Talgarth (3 miles). 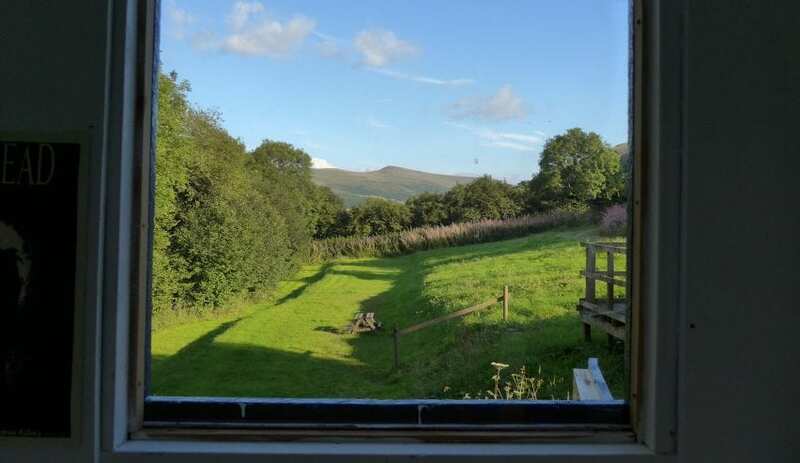 This accommodation allows dogs by arrangement, is near mountains, is in a National Park, is available only to groups, has a pub within walking distance and is on the Brecon Beacons National Park, the Hostels that welcome stag and hen parties map, the Hostels with Camping map and the Offa's Dyke path. Highest Pub in the Brecon Beacons! 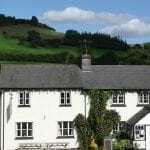 The Dragons Back pub & bunkhouse, welcomes all groups to the Black Mountains. 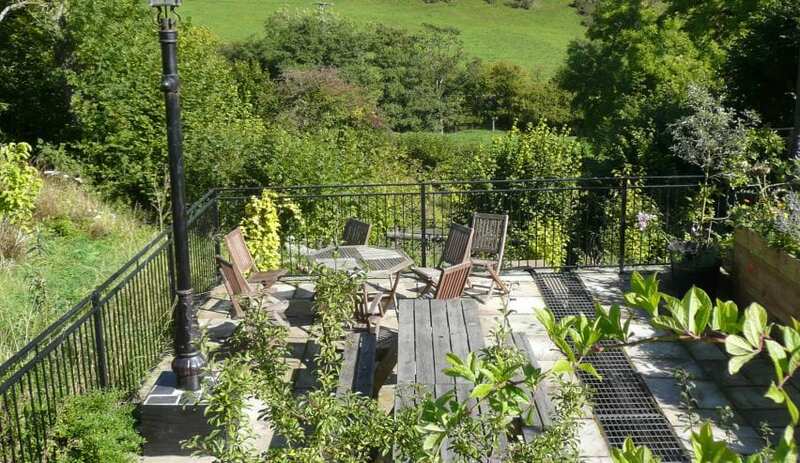 It’s on the list of accommodation that welcomes stag and Hen parties! Warranted or not, either group can have a reputation for boisterousness. But up here at The Dragon’s Back Pub, high in the mountains, with glorious countryside on all sides, peace and calm are more likely. The bunkhouses are fully equipped for self-catering and include rooms intiguingly called ‘The shepherd’s Hut’ and ‘The Tardis’ . The Dragons Back pub, named after a ridge in the landscape around it, is over 300 years old and 1000ft above sea level. 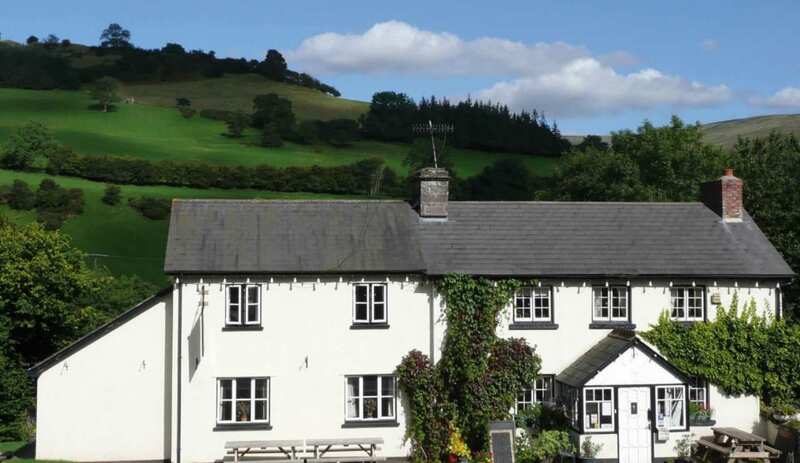 Even at 1000ft the pub is in a valley and is surrounded by the Black Mountains. The location is ideal for cyclists and team building with activities and mountain bike trails from the door. 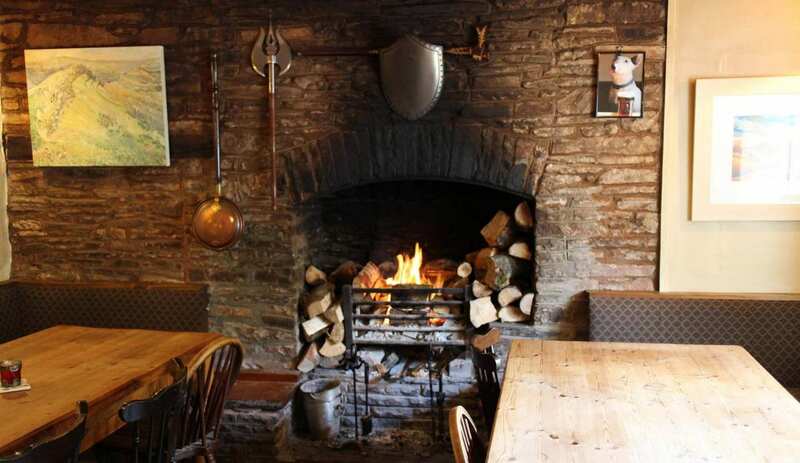 The Dragons Back provides tasty home cooked food, local real ales in front of a huge log fire in case you need warming on the inside and the outside. The Dragon’s Back is a pub with a self-contained bunkhouse. It is named after the ridge running along the top of the hill. The pub used to be called The Castle – named for the iron age hill fort (Castel Dinas) which overlooks the building. Hills are high in the mind (pardon the pun) when you stay here, not only because of the nomenclature, but also because of its lofty location. It was originally a hill farm – predominantly sheep – before morphing into a pub. It claims to be, at 1000ft, the highest pub in the Brecon Beacons. Looking out from here, you know you’re in the heart of the Beacons. Surrounded by the ridges and hills you’ll be enticed out on foot, bike or horseback. 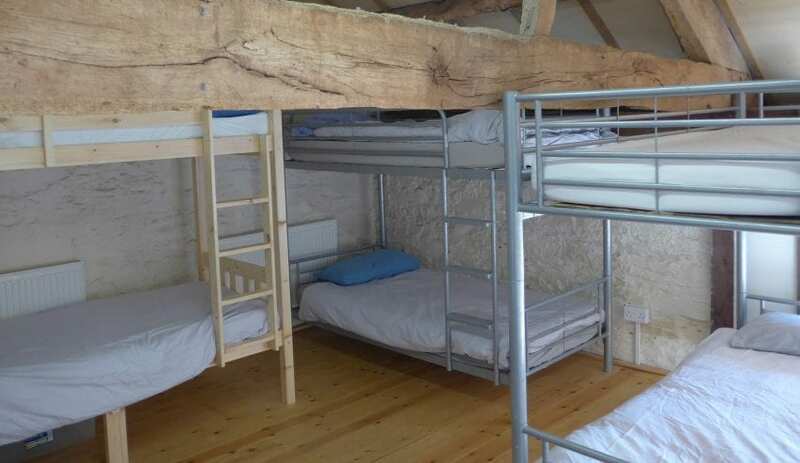 The bunkhouses can sleep up to 28 in 3 different bunk rooms, there’s a kitchen for self-catering and a large common room, although there’s kettles in each bunkroom. 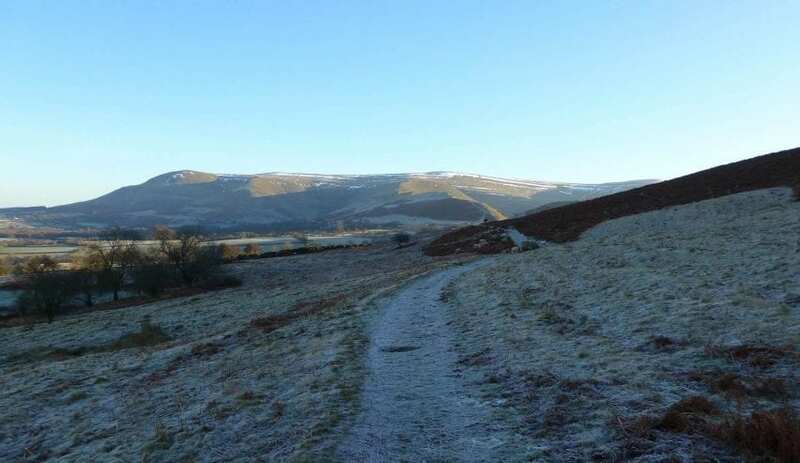 Outside there’s the whole of the Brecon Beacons to explore. The bunkhouse provides a drying room and secure bike storage so you’ve got permission to get wet, muddy and exhausted. Locally, you’ll find some great walking, fishing and cycling including the fascinating sounding ‘killer loop’. Check out their website for some recommendations. Of course when you’re done there’s the hospitality of the Dragon’s Back to look forward to too.